Shimla District covers an area of 5131 sq. km and is nestled amongst the lofty Shivalik Ranges at an altitude varying between 300 - 6000m. Extending from 77o-0" and 78o-19" east longitude and 30o-45" and 31o-44" north latitude, Shimla is encircled by Mandi and Kullu in the north, Kinnaur in the east, the state of Uttaranchal in the south, Sirmaur, district in the west. As per the 2001 Census, Shimla District has recorded a population size of 7,21,745. 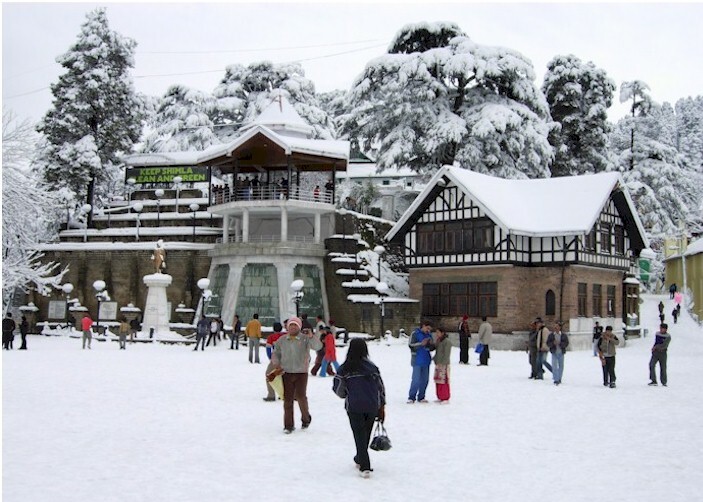 The Shimla economy is mainly dependent upon the revenue from travel and tourism industry and the agriculture and horticulture in the region. The majority portion of the Shimla people are either placed into the tourism industry or into the administrative department of Shimla. A vast number of the people of Shimla have taken the occupation of either a travel agent, guide or a photographer or something related to the tourism industry like hotels and the restaurants. 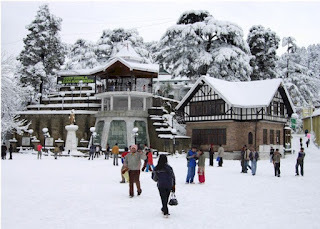 Shimla's economy is being run to a large extent by the tourism industry that has developed gradually over the years. The economy of Shimla is heavily dependent on the growth of the small scale industries. The small scale industries in Shimla primarily includes jute industry, leather industry, food processing industry, wood industry . There are several bus services including Himachal Road Transport Corporation buses as well as private operators connecting Shimla to the major cities in North India. 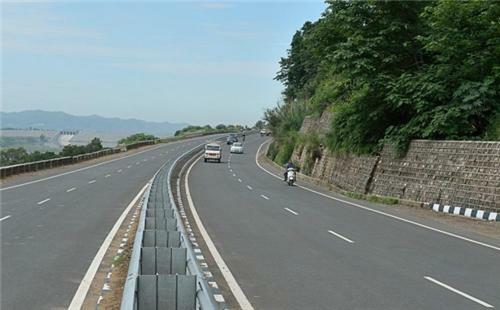 Chandigarh is at a distance of 117 kilometres, Manali at 260 kilometres and Delhi at 343 kilometres. If you are going from Delhi, you can take an overnight air conditioned luxury bus from ISBT Kashmiri Gate. Buses go in the morning or later at night - timings can vary from season to season, you can check them online before making a reservation. The small railway station in Shimla is just 1 kilometre away from the centre of the town and is connected to Kalka by a narrow gauge rail track. 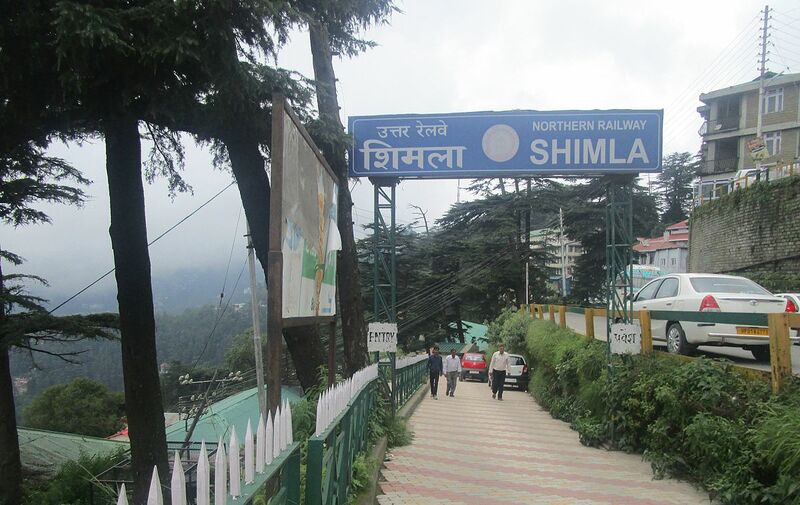 The famous toy train of Shimla goes between Kalka and Shimla, covering a distance of 96 kilometres in about 7 hours. Kalka in turn is the nearest rail head, which is connected to Chandigarh and Delhi by regular trains. You can take the Kalka Shatabdi, which goes from New Delhi Railway Station to Kalka Railway Station via Chandigarh. Jubarhati, which is about 23 kilometres from the town, is the nearest airport. There are regular flights going from Jubbarhatti to Chandigarh and Delhi. You can easily get a taxi from the airport to get to Shimla or you can ask your hotel to arrange for an airport transfer. Apart from this , there are good freight services ( both offline and online booking available ) which helps in the delivery of goods across various destinations . With growing digital world now you can book these services online using various websites like GoodsOnMove which provide you a simple and easy booking service and saves your time , money and hassle!! Thiruvananthapuram formerly known as Trivandrum, is the capital and the largest city of the Indian state of Kerala. It is located on the west coast of India near the extreme south of the mainland. It is the largest city in Kerala. Referred to by Mahatma Gandhi as the "Evergreen city of India", it is classified as a Tier-II city by the Government of India. Thiruvananthapuram is a major tourist centre, known for the Padmanabhaswamy Temple, the famous beaches of Kovalam and Varkala, the backwaters of Poovar and Anchuthengu and its Western Ghats tracts of Ponmudi and the Agastyamala. 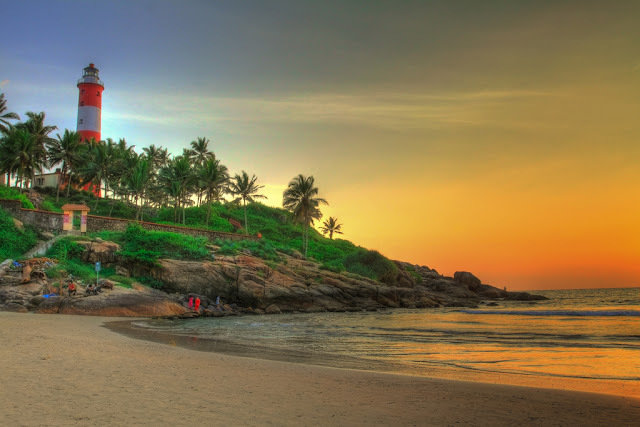 It is consistently ranked among the best cities to live in Kerala as well as India. Thiruvananthapuram is also the best governed city in India. The economy of the city is mainly based on the tertiary sector. Thiruvananthapuram was listed as one of the top 10 cites in India on Vibrancy and Consumption Index by a study conducted by global financial services firm Morgan Stanley. 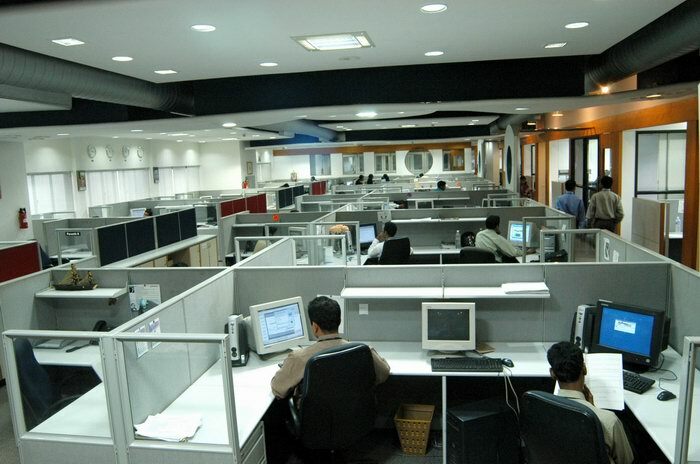 The city is a major exporter of software with over 250 companies employing more than 40,000 professionals. It contributes nearly 80% of the state's software exports. Tourism also contributes to the economy of Thiruvananthapuram. There are around 20 government owned and 60 privately owned medium and large-scale industrial units in Thiruvananthapuram. There are also about 30,000 small scale industrial units employing around 115,000 people. Traditional industries include handloom and coir. The NH 66 and NH 544 (old NH 47) connects the city with Salem and Kanyakumari in Tamil Nadu. The Main Central Road is an arterial road in the city and is designated as State Highway 1. There are five railway stations in the city namely, the Thiruvananthapuram Central , Thiruvananthapuram Pettah, Kochuveli, Kazhakuttom and Nemom. 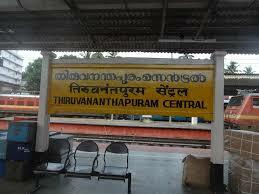 Thiruvananthapuram Central is the major railway station serving the city. It falls under the Southern Railway zone of the Indian Railways and is the headquarter of the Thiruvananthapuram Railway Division. Thiruvananthapuram is served by the Thiruvananthapuram International Airport. The airport is just 6.7 kilometres (4.2 mi) from the city centre. Being one of the gateways to the state, it has direct connectivity to all the major cities in India as well as Middle East, Malaysia, Singapore, Maldives and Sri Lanka. Ludhiana is a city and a municipal corporation in Ludhiana district in the Indian state of Punjab, and is the largest city north of Delhi. It is the largest city in the state, with an estimated population of 1,618,879 as of the 2011 Census. 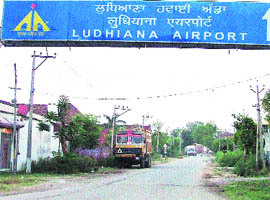 Ludhiana, the only Industrial city in Northern India, stands on the G.T Rd from Delhi to Amritsar. Distance of Amritsar from Ludhiana is 136 kms. Ludhiana is Asia's largest hub for bicycle manufacturing and produces more than 50% of India's bicycle consumption of more than 10 million each year. Ludhiana produces 60% of India's tractor parts and a large portion of auto and two-wheeler parts . Many parts used in German cars like BMW and Mercedes are exclusively produced in Ludhiana to satisfy the world requirement . It is one of the largest manufacturer of domestic sewing machines. Hand tools and industrial equipment is another speciality. The apparel industry of Ludhiana is famous all over India.Ludhiana also has a growing IT sector with multiple software services and product companies having development centers in the city . Ludhiana is also home to the Ludhiana Stock Exchange Association. The textile industry of Ludhiana mainly fulfills the requirements of the domestic market, although for nearly ten years it has also exported its products . Nearly 99% of textile industries in Ludhiana are small scale . The Ludhiana textile industry has about 10,000 industrial units , comprising of exporters , brand producers and high-scale manufacturers . 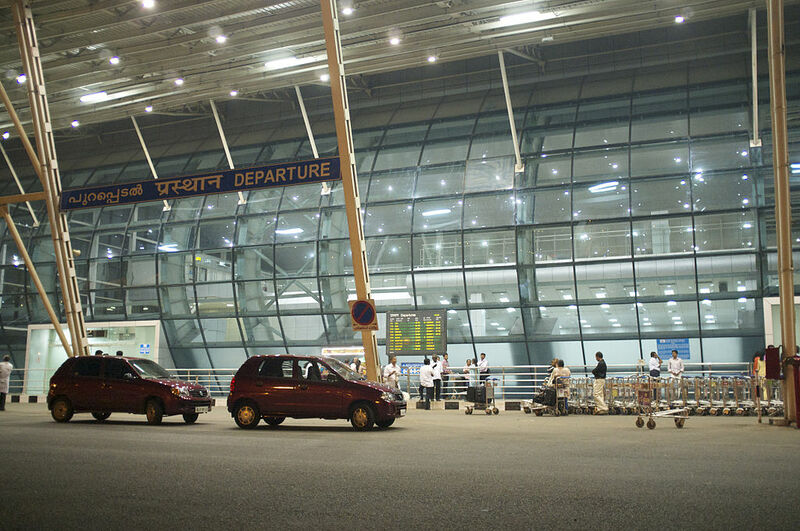 The airport is located in Punjab,Ludhiana near Sahnewal.It is located on National highway 1 at 5 km from Ludhiana bus stand. Ludhiana railway station is situtaed on Delhi-Amritsar route and is an important railway junction with lines going to Jalandhar, Ferozepur, Dhuri and Delhi. The city is very well connected with daily or weekly trains to most places in India including the major cities of Jammu, Amritsar, Jalandhar, Patiala, Pathankot, Kanpur, Jaipur, Delhi, Mumbai and Kolkata. There is direct bus between New Delhi and Ludhiana. You can take buses from many travels from New Delhi to Ludhiana. in 2005 describing them as "inhuman". was passed by the West Bengal Assembly in 2006, it has not been implemented yet. Association filed a petition against the bill.Being cheap to build-it takes as much or little as Rs 3000-6000 to build one-, run and maintain, it soon became a popular way of earning for those with extremely minimal resources. It is all but made of wood, iron and tin, weighing about a 100 kgs and physical human effort being the only fuel to power it. 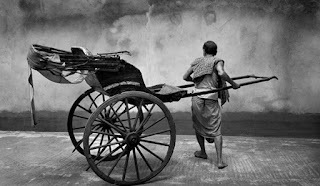 A palanquin, also known as palki, derived its name from the Sanskrit word ‘Palanki' for a bed or couch. A palki was bigger in size and made of wood. There were doors on both sides. A long cylindrical pole was attached to it and lengthways through the middle. A palki is carried by six or four men, known as Beharas, bearers of special caste or class who held the pole at both ends. Palanquin as a mode of transport began to decline from the mid-nineteenth century when steamer and rail communications started and general transportation began to improve. With the development of roads and highways and increasing use of animal carts and carriages the palanquin as a means of transport faced extinction. After this auto rickshaws were introduced. Palanquin is used today also in places like Vaishanavdevi. It was Bajaj auto limited, who started auto rickshaws in India. Petrol auto rickshaws produce a lot of pollution and thus health related diseases occurs. That's why Electric rickshaws has been introduced in India and people prefer it more than other mode of transportation. 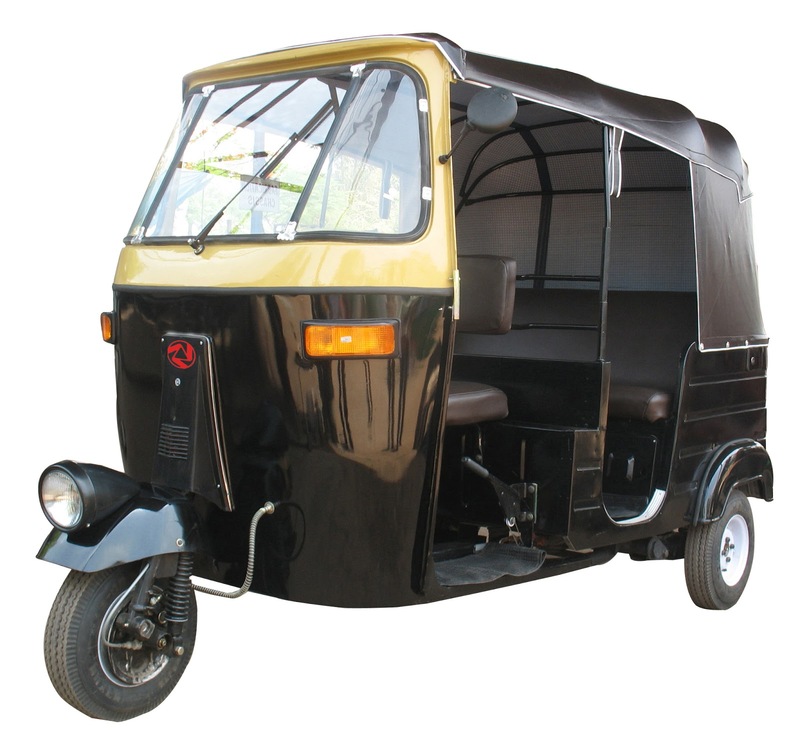 To cater to the increasing population in the region, combined with pollution, the passenger rickshaw can be termed to be the best mode of transportation to be introduced. There are two kinds of auto rickshaws used in India. Battery autorickshaws and simple ones in which one has to paddle then just like a bicycle. •More profit due to less maintenance cost. The basic modes of transportation are land, air, and water. In the modern era, a part of our research is how to make these modes smoother, better and faster for travel and transportation. 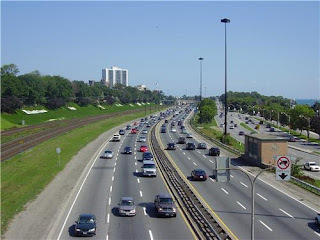 The roads being the main mode of land transport. 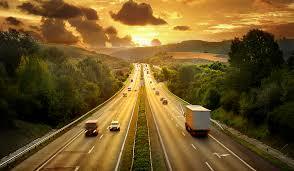 In this article, we will take a look on various types of road transport and its uses. 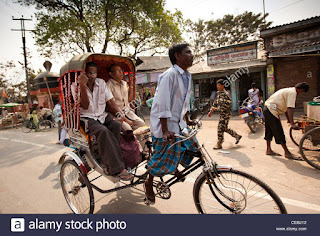 informal sector in urban areas.The government is also taking up initiatives to encourage people to travel by cycles rather than in seperate cars in order the decrease the population. Cycle rickshaws were introduced in India in the 1940s. They are bigger than a tricycle where two people sit on an elevated seat at the back and a person pedals from the front. In the late 2000s, they were banned in several cities for causing traffic congestion. Cycle rickshaws have been a feature of Delhi streets since Indian independence in 1947, providing the cheapest way around the capital. In addition, environmentalists have supported the cycle rickshaws as a non-polluting and inexpensive mode of transport. The driver pedals in front of the passenger seat, though some vehicles have the driver in the rear. Cycle rickshaws are widely used all over Asia, where they have largely replaced less-efficient hand-pulled rickshaw that required the driver to walk or run while pulling the vehicle. Cycle rickshaws are often hailed as environmentally-friendly, inexpensive modes of transport. Many cities in developing countries are highly polluted. The main reasons are the air and noise pollution caused by transport vehicles, especially petrol-powered two and three wheelers. For example, in India there are close to 18 million petrol- powered two wheelers and about 1.5 million petrol and diesel powered three wheelers. These vehicles are increasing in number at the rate of about 15% per year. During the early civilization man used the animal power in his service. Like some other animals his bullocks carried his loads. In order to draw better service from the bullocks, man invented the bullock-cart. 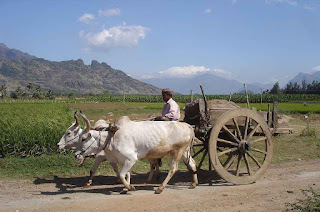 the bullock-cart can move both on the roads and on the out of the way places. The bullock-carts can go to such places to which other sorts of wheeled traffic cannot move. 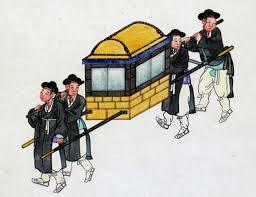 Hence, the transport of goods depend very much on the bullock-carts. The making income-group can possess bullock-carts for themselves. But there are some disadvantages also.The bullock-cart is quite slow in its speed. It has to depend upon the patient and healthy bullocks. If the bullocks get tired or sick, the cart cannot work. If the bullocks get unruly on the way, the cart and the cart-man surely run into danger.